Eugene Smith in World Affairs on 20 October, 2015. 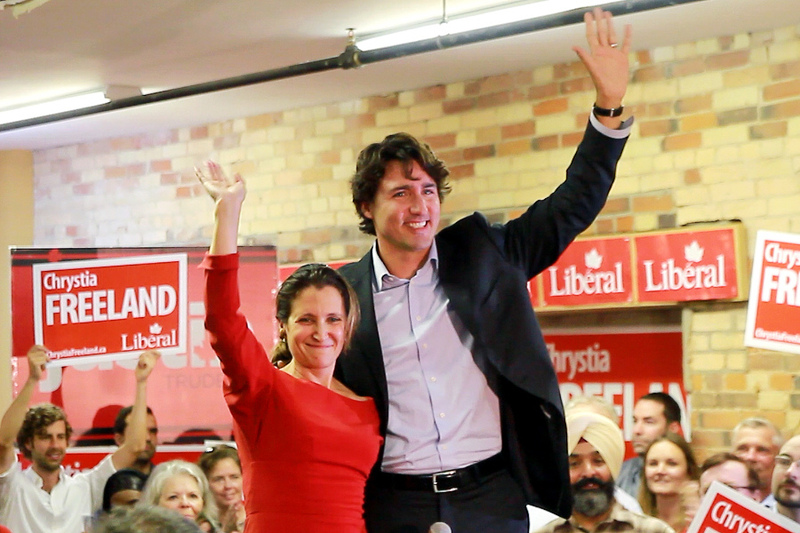 Justin Trudeau (right) won an impressive victory for the Liberal Party. The Canadian electorate voted for the Liberal Party to replace incumbent PM Stephen Harper’s Conservatives on Monday night, bringing an end to ten years of Conservative-led government. The longest campaign in the nation’s history began with the Liberals – led by ex-drama teacher Justin Trudeau – in third place, behind Harper’s centre-right Conservatives and the centre-left New Democrats of Tom Mulcair. However, Trudeau’s party surged to claim 184 of the Canadian parliament’s 338 seats, becoming the first party in the country’s history to leapfrog two election rivals and win a majority. Running on a platform of equality-based tax reform, deficit-funded infrastructure spending, a pro-environment stance and a less hard-line foreign policy, Trudeau’s party promises to bring about a sharp shift away from the last decade of Canadian politics, dominated as they were by centre-right conservatism. Alongside the domestic implications of their markedly liberal social policies – which include the legalisation of marijuana – and left-leaning economic strategy, the Liberal victory casts uncertainty over the future role of Canada in an international sense. Under Harper, the Canadian government was criticized for declining in global influence and for ostensibly betraying multiculturalism. In fact, in 2010 Canada was for the first time unable to gain a seat at the UN Security Council, and the former Canadian ambassador to the UN blames this on the fact voting countries ‘didn’t like Canadian policies’ supported by Harper, such as scepticism over climate change and a desire to cut aid to Africa. There are five areas where Canada’s international outlook is likely to change: the environment, armed intervention, the refugee crisis, relations with the USA and relations with the Middle East. Firstly, a Trudeau government promises to be far active with regard to climate change than its predecessor. Whilst Harper oversaw Canada quitting the Kyoto Protocol in 2011 and subsequently rejecting a Commonwealth fund to assist poorer states in dealing with global warming, Trudeau has pledged to reduce carbon emissions and is committed to attending a UN climate summit later this year. In military affairs, too, the Liberals offer a stark alternative to the ten years of Conservative dominance. 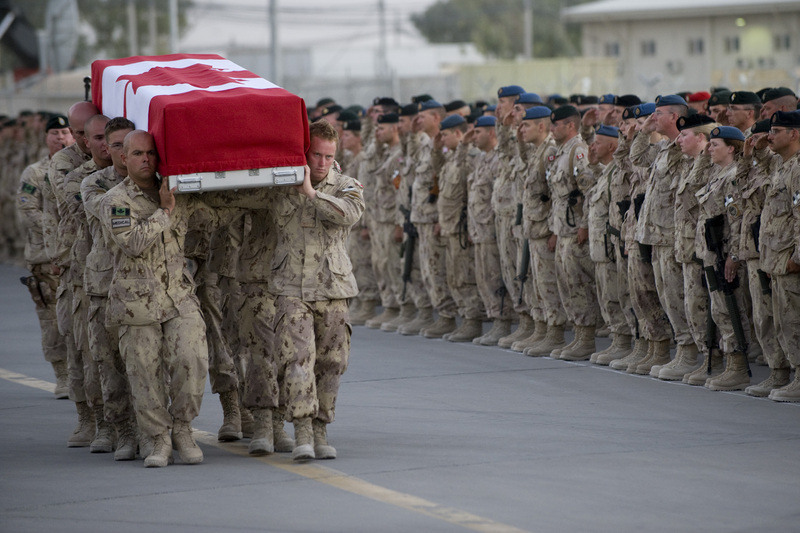 Harper’s government instigated Canadian participation in air campaigns against IS in Iraq and Syria, in the face of Trudeau’s party’s opposition. In government, it is very likely that the Liberals will withdraw the bombers and focus instead on bolstering local forces on the ground and increasing humanitarian aid. Trudeau is seen as less likely to support Canadian military interventions. During his tenure as Prime Minister, Harper was accused of eroding Canada’s tradition of multiculturalism and soft-line immigration policy. Whilst Trudeau offers few wholesale changes to Canada’s border controls, his party has pledged to take in more Syrian refugees than any other mainstream Canadian party – 25,000 by January 2016. Fourthly, a Liberal government in Canada is likely to improve relations with the USA – or, at least, with President Obama. One reason for the recent straining of relations between the two North American nations was that Harper strongly disagreed with the US President over the construction of the Keystone XL pipeline, dismissing Obama’s environmental concerns and claiming he would not ‘take no for an answer’. Although Trudeau also supports the pipeline’s construction, he has intimated he is more willing to compromise, and his first phone call after his election win was reportedly to Obama himself. 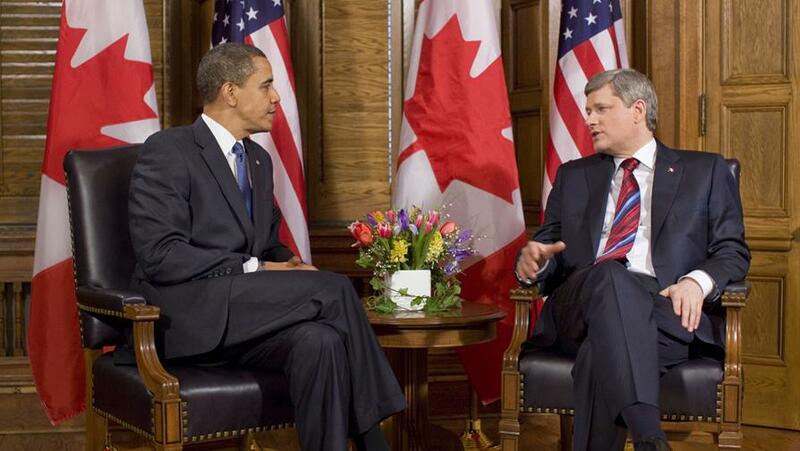 Obama and outgoing leader Stephen Harper (right) had a strained relationship. Finally, relations with the Middle East are likely to change under a Liberal government. Although there is little difference between the Liberal and Conservative parties’ moderate positivity towards Israel – both generally offer vague support for a two-state solution – an editorial from the Times of Israel claimed Harper’s deposition means the country has lost a world leader ‘undoubtedly … the most supportive of Israel’. Worrying for Israel will be Trudeau’s apparent openness to smoothing relations with Iran, a nation of whom Israeli PM Benjamin Netanyahu is deeply suspicious. Whilst Harper’s government cut ties with Iran in 2012, Trudeau has articulated plans to restore relations in the wake of the recent nuclear deal. The Liberal victory has not only deposed a decade-ruling government party and shifted domestic policy in a liberal-leftist direction, but it also promises to shake up Canada’s place in the world’s political setup.